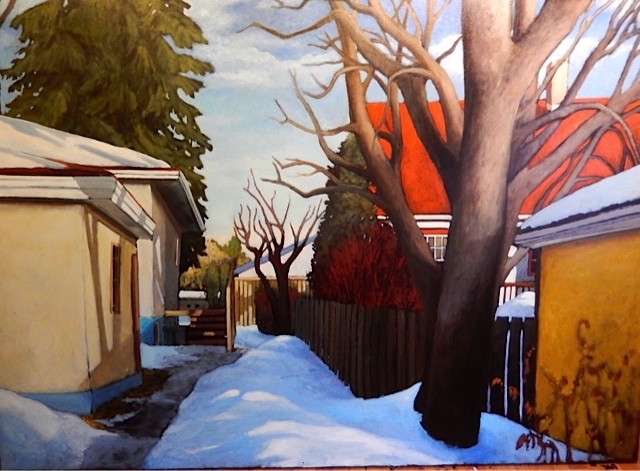 Kari Duke lives in Edmonton, Alberta, in a small community near the University surrounded by urban alleys that tend to reflect an untouched and overgrown environment. Kari Duke’s work is portrayed by many as nostalgic, and reminiscent of a simpler time. The colorful paintings have a fresh confident feel that captures the charm of an earlier era. 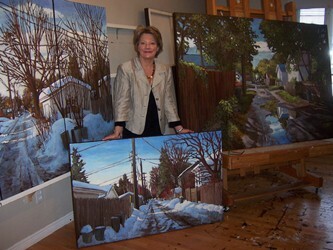 The Canadian icon aspect of her work speaks to those not only in Alberta, but all across Canada.